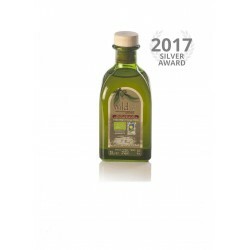 Silver Award winning Olive Oil at the 2017 New York International Olive Oil Competition. Wild organic cold extraction. The landscape of Jaén province in southern Spain is expansive, unspoilt and very beautiful. Only 650.000 inhabitants share the surface of 13.500 km2 (one third of Holland) with untold millions of olive trees producing one quarter of the world’s olive oil. A full 85% of these trees belong to the variety of Picual, very productive but bitter tasting. 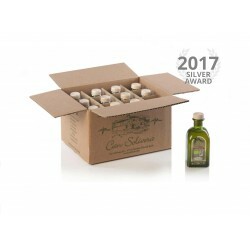 In a small grove, high enough to be spared of the olive fly, we produce a superbly tasting organic olive oil from Arbequina olives together with some Hojiblanca, Picudo and yes a few Picual olives as well. 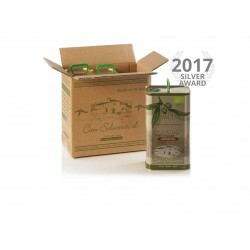 Method: First extraction in a modern centrifuge cooled to 19º C.
Taste: Thanks to a very early harvest one of the fruitiest Arbequina olive oils available anywhere. 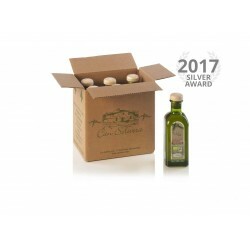 Due to the presence of some Hojiblanca and Picudo olives, there is a slight but pleasant bitterness in the mouth with notes of almonds and apple. The typical Arbequina peppery aftertaste after 10 seconds is definitely noticeable.